Lake Minnetonka home improvements can cost tens of thousands of dollars – but they don't have to. Landscaping upgrades are among the most popular improvement projects because of their relatively inexpensive price tag. In addition, a landscaping facelift can dramatically transform the way a home appears, often adding value by recouping the investment made. Whether your goal is to improve your home’s curb appeal, grow a colorful flower garden or create a relaxing backyard wonderland, by following these simple tips you can save money with Lake Minnetonka home improvements to your home’s surroundings. If you have a wooden deck that needs to be brought back to life, it doesn’t have to cost a fortune. 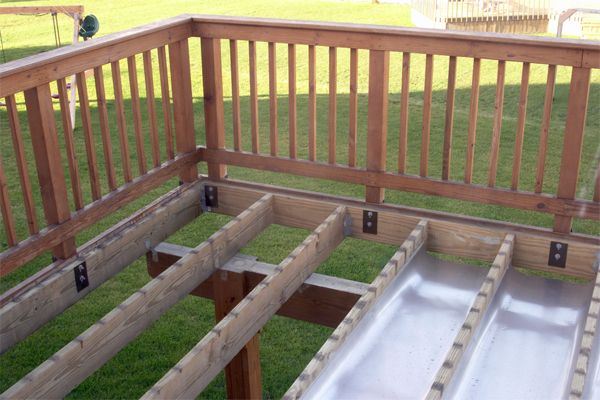 Take time to carefully inspect the structure and foundation of the deck. Pay close attention to the load-bearing posts, the stair stringers and ground-level support joists. Check to make sure bolts and screws are tight and secure. If you see any boards that are showing signs of deterioration, replace them now – they will only get worse. Also, be sure to tap down any nail heads that have popped up on the good boards. The next step is to swab the deck, matey! You’ll be surprised at what a thorough cleaning can do for the appearance of a tired or worn-looking deck. So, after you’ve made any repairs, scrub down the deck with the following mixture: Mix a quart of regular household bleach and 1/3 cup of your favorite powdered laundry detergent into three quarts of warm water. Use whatever scrubbing method or material is best for you, but experts recommend a stiff-bristled, long handled brush – or an old broom you’re planning to throw away. Once you’ve given it a good scrubbing, hose down your deck and take a look at your revived surface. If you choose to finish the deck, a semitransparent stain is a popular choice for the protection and enhancement of old wooden decks. The pricing of new fencing is usually based on the materials you select. Decide what best suits your needs and meets your budget. Homeowners often find a less expensive fence provides the same results as a top-of-the-line model that can throw your budget for a loop. Lastly, before you start swinging that sledgehammer, take another look at your fence. If it’s still sturdy and solid, but just needs a new look, try a fresh coat of paint. You may be surprised at the results, and you’ll save money, too. Let’s be honest. You can spend a small fortune on sod, plants and flowers – but you don’t necessarily need to. While greenery and flowers are important parts of your Lake Minnetonka home improvements landscaping makeover, you can save money and still get what you want. The best time to buy trees, shrubbery and plants – including mulch and garden accessories – is late in the growing season. Visit the big-box stores where the prices are lower because they buy in bulk. Be careful, however, to inspect their plants and flowers carefully. They likely don’t receive the care and treatment they would at a professional nursery and garden center. Experts suggest you buy perennials, since as the name implies, they reappear every year. You can also get some plants for free, by organizing a neighborhood garden swap or by sharing cuttings from neighbors’ yards. All you have to do is snip from the areas of new growth, pot the cuttings and water them sufficiently. Patios are popular, and keeping them updated shouldn't cost a great deal. If it’s time for a patio makeover, follow these tips from the experts. Inspect the concrete floor. As long as the structure and foundation is sturdy and sound, a worn appearance can usually be spruced up with concrete paint. Specially made paint for concrete floors comes in a variety of colors and, with a little creativity and ingenuity, you can make your patio as unique as you want. If you’re considering starting a patio from scratch, consider this: Devote a portion of your yard to pavers. They’re easy to work with, easy to take care of and fairly inexpensive. Professional installation of pavers can cost as little as $5 per square foot in some areas of the country. The final step is to update the furnishings on your existing or new patio. You can save money by looking for deals on various websites like DealCatcher, or by going to eBay or Craigslist. Garage and yard sales may also offer great bargains on gently used, pre-owned furniture that’s perfect for your patio. If you currently have patio furniture, but need to give it a little TLC, you can sand the metal frames and give it them fresh coat of spray paint. Adding new weather-resistant seat cushions and a medium-to-high-quality patio umbrella is also a nice touch. Creativity is your friend when it comes to creating and cultivating a garden gallery as one of your Lake Minnetonka home improvements. Dishes from a dollar store or containers and canisters from a flea market or yard sale can be used as unique flowerpots. Plus, before you go out and buy something new, take stock in what you have that can be reused or recycled for a different purpose. An old chest of drawers or dresser can be used as a potting station for all your garden implements and tools. In addition, an unused dining cart can be transformed into a mobile grill accessory. Be careful, however, not to overdo it. The last thing you want is for your facelift to look junky. That will defeat the whole purpose of your improvement project. By using your mind’s eye to envision the transformation of the outside of your home, you can find interesting and useful ways to use your imagination without spending a lot of money to make these and other Lake Minnetonka home improvements. You can find more articles pertaining to home improvements in the Lake Minnetonka Home Improvements section of our site below Lake Minnetonka Real Estate Categories in the column to your right. We also post tips daily on Twitter and Facebook and would love for you to follow us there as well. « Lake Minnetonka Mortgage Market: Deja Vu?